TERRESTRE is a project which originates from a research on craft techniques aimed to transform and make the most from simple and low-cost materials, in the context of the latest developments in decorative arts and design. Combining material innovation and design rigor, TERRESTRE makes and sells unique or limited edition pieces. Currently, TERRESTRE produces two lines of light fixtures – one featuring pendant lights and the other consisting of table lamps – collectively named RE-LAMPS. 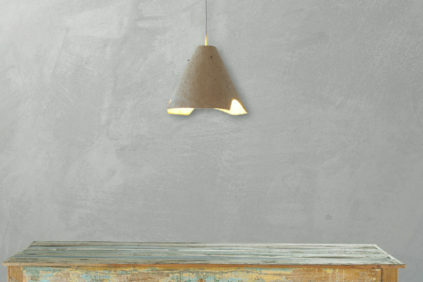 All objects of the RE-LAMPS family are based on the idea to create light fixtures made in new materials that combine various sustainably-sourced components: recycled cardboard, vegetable fibers, natural pigments, and wood. The interaction between material and light source generates the aesthetic quality of each lamp. All RE-lamps shades are hair-dried – without any artificial drying process – they are lightweight, solid, colored and resistant to impacts and mechanical stress. 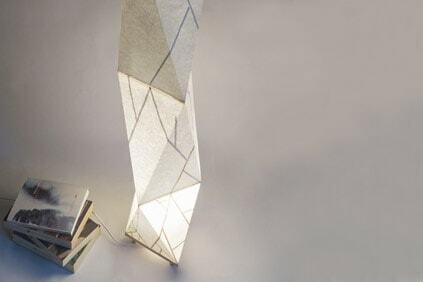 The unique quality of each lamp originates from a design concept and manufacturing process aimed to emphasize its physical presence, which includes the use of mineral pigments, the addition of natural fibers, a research on surface textures, and a beeswax coating. The material radically changes its appearance depending on its interaction with light. Every light fixture is a handmade and unique piece, numbered and signed. 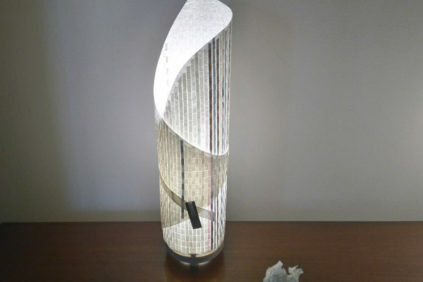 The table lamps of the line RE-LAMPS feature a lampshade made by overlapping recycled paper sheets cut into strips and woven by hand, or composed of a single sheet made by overlapping layers of thin paper; the final shape is then obtained through a special folding technique inspired by those of Origami. 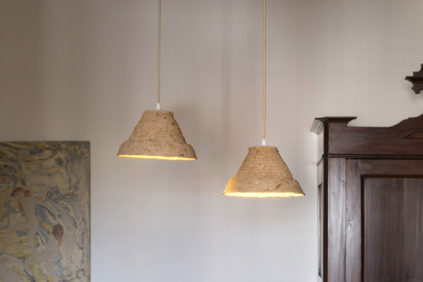 Each lampshade is attached to a hand-cut base in plywood or solid wood, depending on the model. 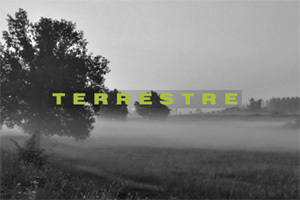 TERRESTRE is a project by Bianchini & Lusiardi Associati architects. 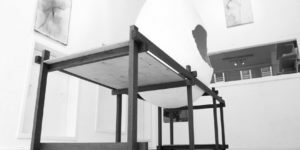 The practice, founded by Riccardo Bianchini and Federica Lusiardi in 2000, engages with different design fields, including architecture, public space, interior, and exhibition design. Bianchini & Lusiardi Associati has been awarded various first prizes both in international architectural and product design competitions.